Home > Home Schooling > What is Home Schooling? 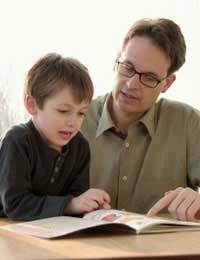 Home schooling is – as the name suggests – the educating of your child at home without the aid of a teacher of indeed using the National Curriculum if a parent does not feel it is warranted. Home schooling is something that the government – and indeed most Local Education Authorities – are keen to prevent us as parents from engaging in but as parents we do have the legal right to educate our children at home should we feel that schools in the local and surrounding areas are not up to a standard required. Any parent who wishes to educate their child at home can do so without the need to inform the Local Education Authority of their desire to do so but it is advised that if you – as a parent – wish to do this it is best to inform your Local Education Authority of your intention to do so. For some parents home schooling is a matter of logistics; it may be physically impossible to get their child to a school in a surround area, and this is normally the case if the child lives in an area that is not well provided for by public transport or because placing their child in a school would involve quite literally moving home. For other parents it is a matter of not wishing their child to be in an environment where they can be receptive to – what can be best and most sensitively described as – the misbehaviour of other children. Of course in saying this it is worth mentioning that most schools operate a policy of not allowing any behaviour that would constitute a risk to other pupils but for some parents the fear is a real and justified one. Some parents again quite simply think that by educating their child at home they are giving them a firmer grounding and understanding of the world around them rather than what some might say is a cosseted approach by education authorities. It is also worth mentioning that families who travel around from place to place find home schooling an easier alternative to placing their child in a school for a short period of time before uprooting them and having to go through the application process again in another area. It is worth considering of course the effect that home schooling can have on your child. For example, are they going to receive the same stimulation and interaction at home as they would at school? Can you as a parent – and most likely not a teacher – educate your child to a standard whereby upon finishing their education they will have a firm grasp of the subjects they have learned? And will you – as a parent – be able to spend the time, give the commit and enthusiasm needed, and be able to finance teaching your child at home? Logistics aside it is important to understand that whilst your Local Education Authority in conjunction with the government are funding your child’s schooling, should you decide to teach them yourself at home you alone are responsible for all costs incurred in the purchasing of text books, materials, equipment etc. Local Education Authorities will offer nothing more than advice and guidance on the issue of Home Schooling; they will not seek to provide you with any financial assistance.